I’ve been wanting to try quilting for quite some time now. I’ve been sewing all my life but I’ve never actually tried quilting or the techniques used to make something. Then I stumbled upon this awesome tutorial from Abby Glassenburg of While She Naps. 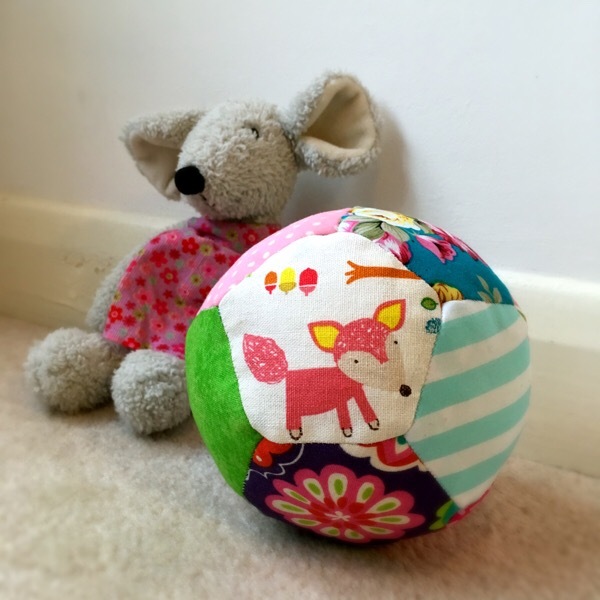 She’s a really inspiring toy designer and has shared this brilliant tutorial for a soft toy ball. 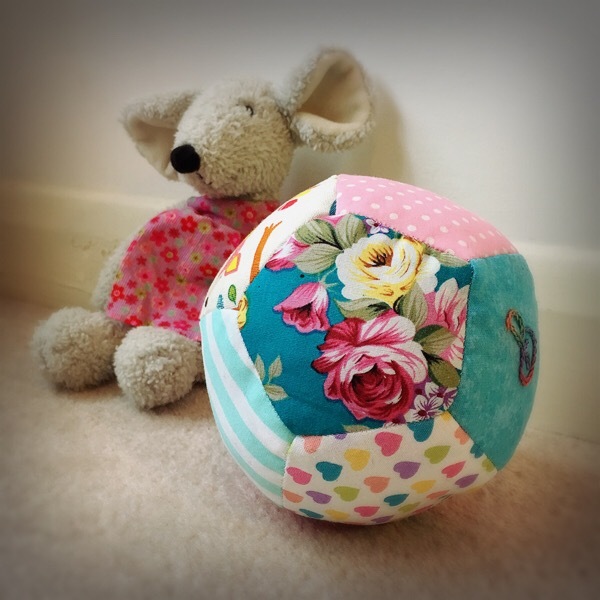 It uses the skills of english paper piecing to make a gorgeous handsewn ball complete with rattle inside. 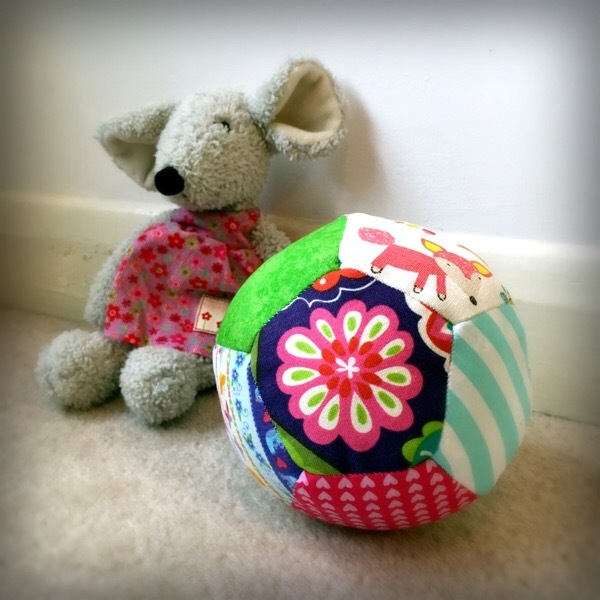 I had so much fun rummaging through my scraps box to find fabrics for it and decided to personalise B’s Ball with… well a B! What do you think? Have you tried quilting or english paper piecing before? I have done very little! But that is adorable! This is one of the cutest baby toys I’ve ever seen. I love soft balls. They are easy for little ones to catch and throw. And they don’t break stuff when they hit it! So cute! Would make a great gift for an expecting mama. 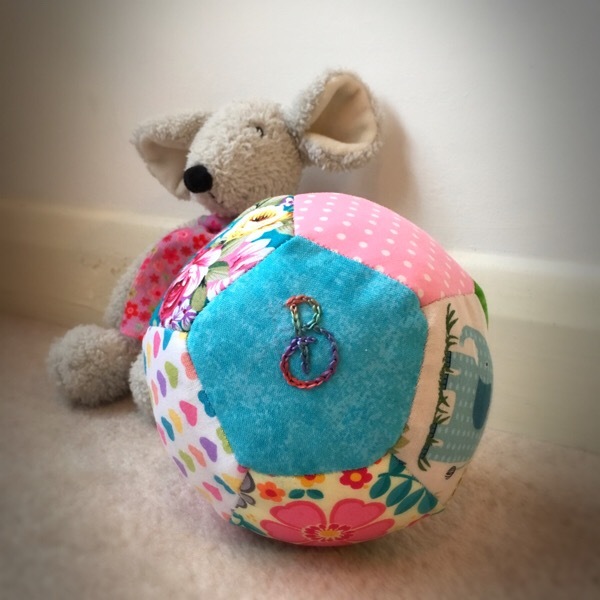 Thanks Elizabeth, yes the no breaking thing is a definite bonus 🙂 Yes, they’d make a great gift for new mammas – great excuse to get sewing some more! This is so cute. The little ones will surely love to play with this colorful balls. How cute! Thanks for the tip. I’ll forward this on to my mother – she loves to sew!